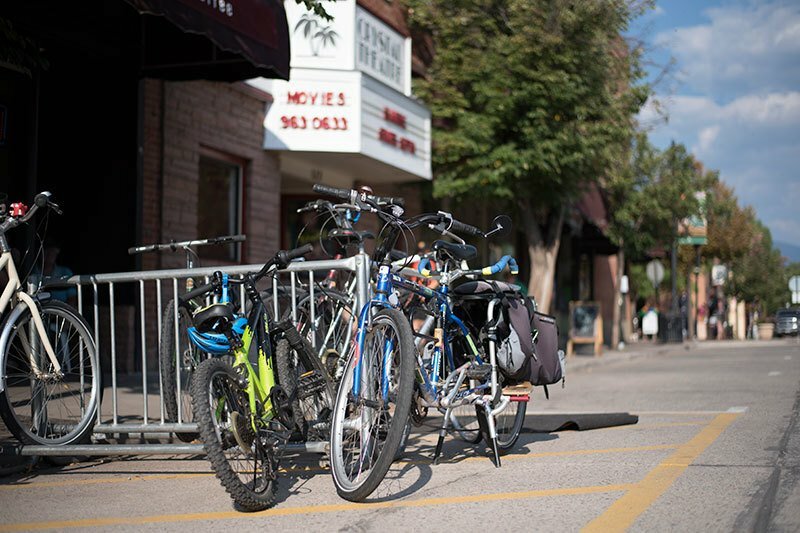 Opportunities for biking adventures abound around Carbondale. 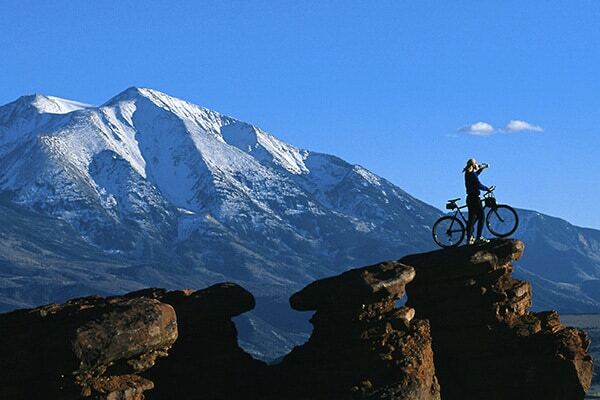 There are plenty of easy, paved trails for leisure bicycling and walking within this central region of the Colorado Rocky Mountains, which covers Aspen, Snowmass Village, Basalt, Carbondale, Glenwood Springs and Rifle. Many of these trails follow creeks and rivers, making for small elevation changes and gorgeous scenery! Plus there are many opportunities to stop along the way. 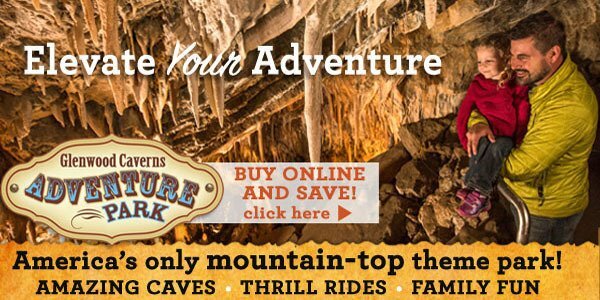 There are also opportunities for those who want a challenging or casual ride, Carbondale has it all. 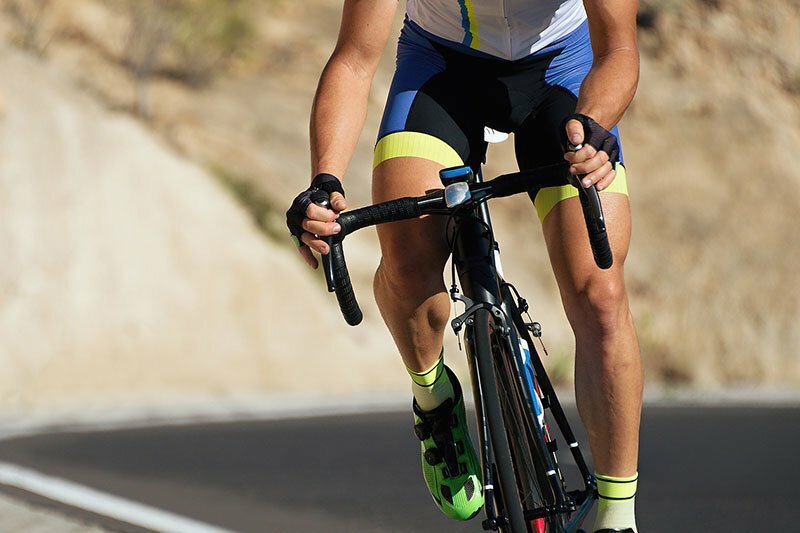 Whether you’re a self-proclaimed roadie, a gravel-grinder or a leisure-cruiser, Carbondale has premier access to some of the greatest road rides in the valley and on the Western Slope. You can self-guide a historic farm tour, take a big ride to the top of one of the state’s most idyllic and scenic passes, cruise the riverfront or explore the man gravel roads, Carbondale has it all for your skinny tires to explore. The Crystal Valley Trail opened in 2010 and has been a roaring success for hikers, bikers, joggers, skaters, skiers, and even a few cattle being driven to pasture. Connecting to the town trails at the new fire station, over the Fish Hatchery Bridge, winding through cattle pasture along Highway 133, it currently ends seven miles from town at the BRB Campground Resort (a KOA campground). Fantastic views of hay fields, cattle in pasture, Thompson Creek Bridge crossing, Crystal River, and all in view of Mt. Sopris. Accessing Dry Park Road is a stout climb, whether you're coming from Carbondale or Glenwood Springs, but the climb is well worth the views. While riding along this mesa, you'll experience the local ranch scene and enjoy the company of cattle throughout. Right at the intersection of Highway 82 and 133 is a local favorite for a quick lunch-break hike with the dog, or a challenging mountain-bike trail system. The Red Hill Recreation Area is a series of short trails that lead to the Mushroom Rock overlook—a great hike and a great view of the Crystal and Roaring Fork Valleys. 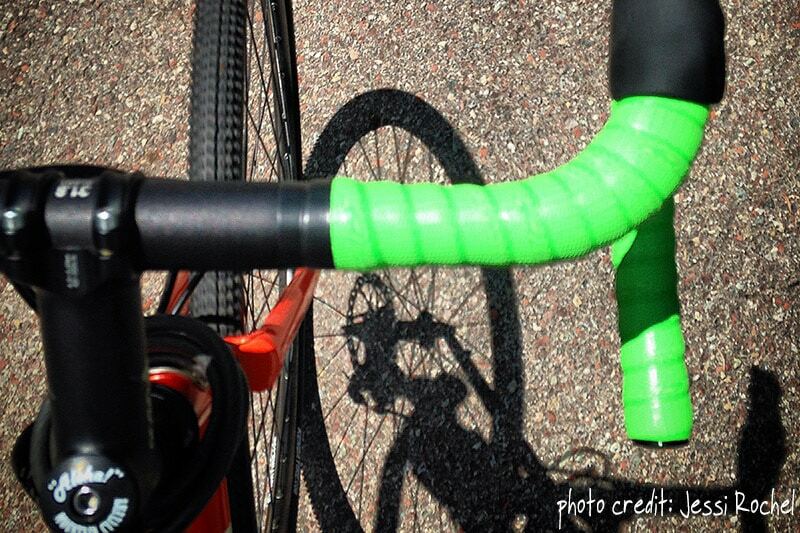 Forty-four miles of gently-sloping, paved trail that runs from Glenwood Springs to Aspen. 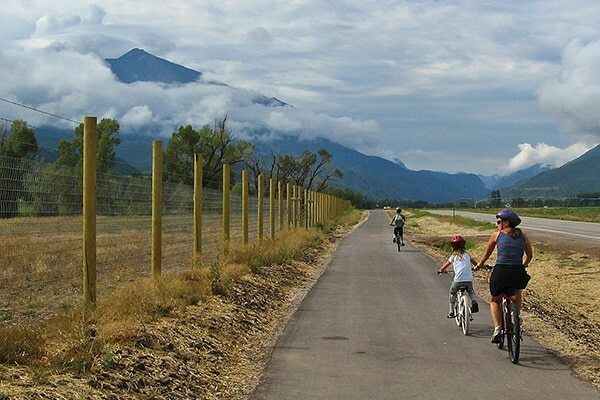 The Rio Grande trail is perfect for families, road bikers, joggers, dog walking, and inline skating. Parts of the trail are groomed x-country ski trails in the winter. 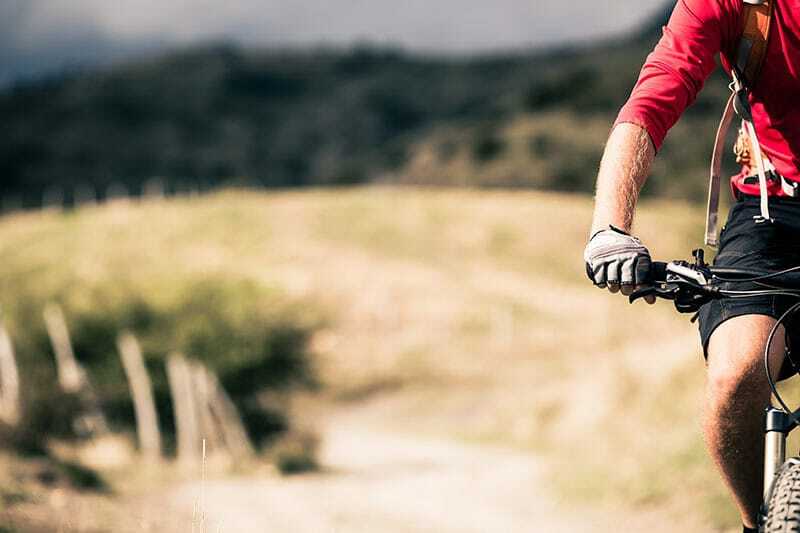 Best of all, the Rio Grande is a great way to connect mountain-bike trails, and find your way back to town or your car.